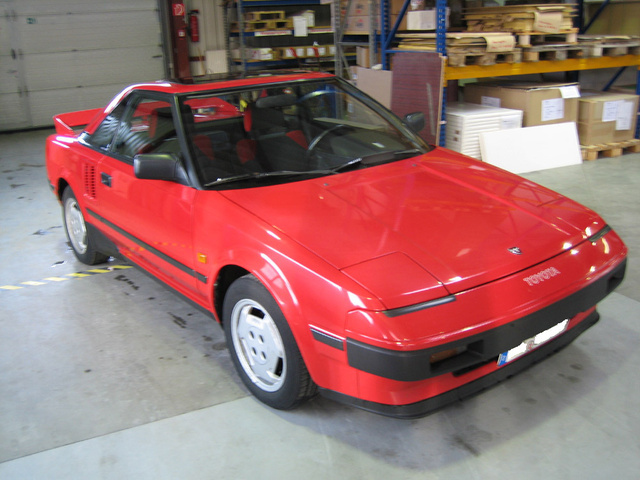 Have you driven a 1985 Toyota MR2? Displaying all 7 1985 Toyota MR2 reviews. Good — Epitomizes Eighties era imports. Most parts are kin to other Toyota's, keeping repair costs minimal, although chassis specific parts are becoming scarce (it is a 20+ year old model). Like most Toyota's, it is very simple to repair with basic hand-tools, that said, some service operations need to be adhered to verbatim; primarily service of the cooling system. General upkeep of the running gear is on par with imports of the era in both price and frequency. Fuel economy is also on par for a four cylinder coupe. Potential vehicles should be thoroughly inspected for rust, especially in the rear fender areas. Overall the appearance and layout of the interior and exterior is very utilitarian. Storage space is adequate in relation to the dimensions of the vehicle. Most accessory controls are within a fingers reach of the steering wheel. This car is not a power monster, however with its mid-engine layout and overall light weight, it is still a very enjoyable when taken on a spirited drive. Cheap, Reliable, And Fun To Drive — Wimpy acceleration off the line, but picks up above 4k RPM. Great handling, easy to drive fast. Comfortable interior, excellent ergonomics and placement of controls. Great city or commuter car, easy to maneuver, easy to park, 30 mpg. And the trunk lid makes a nice tool shelf when you're working on the engine. Love Everytime I Drive It. 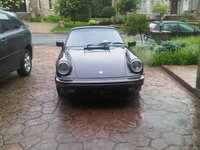 — Solid handling car but the engine is definitely lacking power. 4AGZE is the next step plus some aftermarket suspension. Motor is reliable, trannys are strong. Overall great fun for the price, would recommend if you are looking for a fairly cheap sports car. Pros: Tight handling car for being 25 years old. 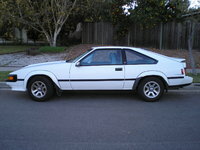 Mk1 Mr2 — Had this from the age of 18, had a full dtw track day performance engine rebuild. Silicon pipes, kent cammed, lightened flywheel, performance h.t's, full stainless exhaust and had the ecu remapped. Sports springs so it handled like a beaut, amazing fun on country lanes.. so much so i had to stick it in a hedge. Cons: Imminent death, think i got off lucky.. It Was So Small — The engine was not built to properly cool itself. I had major radiator problems the entire time I owned the vehicle. Great Fun To Drive — If you haven't got the money for a proper sports car then this is the next best thing. 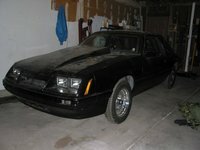 Smoke And Oil — It's got Transmission problems, every-time that I drive it, it blows a seal or gasket and leaks oil all over my engine and then smokes off leaving a cloud of smoke behind it; and every year that it has to get smoged the catalytic converter has to be replaced and it costs around a $1000.00. Looking for a Used MR2 in your area? CarGurus has 20 nationwide MR2 listings and the tools to find you a great deal.